Oliver Cooney's IRISH MAID won two boat-show awards in her first few months of existence. He writes that this Arch Davis design always draws a lot of interest from onlookers. Oliver found Arch's drawings and follow up to be very helpful during construction. 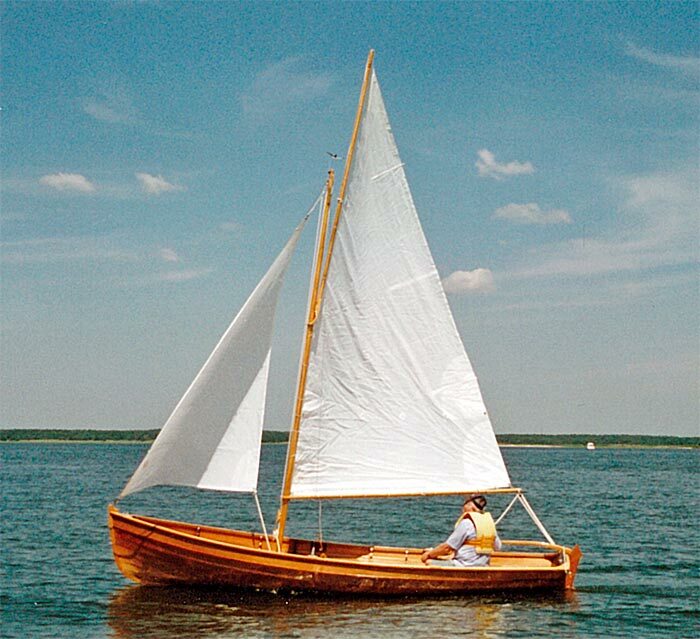 It took about 500 man-hours to assemble this boat built from okoume plywood, mahogany, and ash.